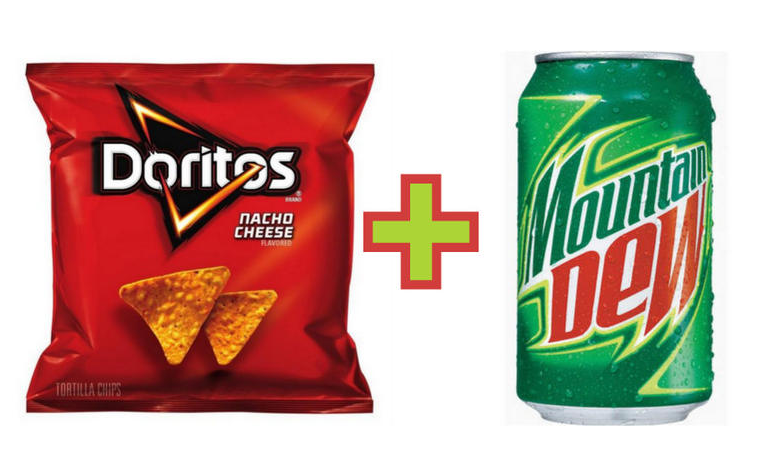 What do you get when you combine a bag of Doritos with a can of Mountain Dew? Answer: The perfect post for this blog. According to regular CNET (which is not CNET en Español) students at Kent State University recently had the opportunity to “Do the Dewitos,” which is nothing but a weird mix of Mountain Dew flavor and Doritos. A-N-Y-T-H-I-NG, is better than this thing. This entry was posted in Awkard homages, Food, Guacala, Marketing & Advertising and tagged CNET, cnet en espanol, Dewitos, Doritos, Fritos, Mountain Dew. Bookmark the permalink.